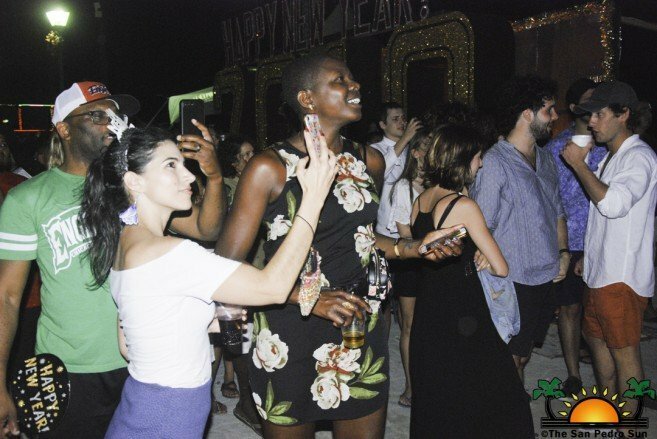 New Year Eve’s celebrations went off with a bang on Ambergris Caye as revelers rang in 2019 with a colorful party accompanied by a spectacular fireworks display on the beaches of downtown San Pedro. 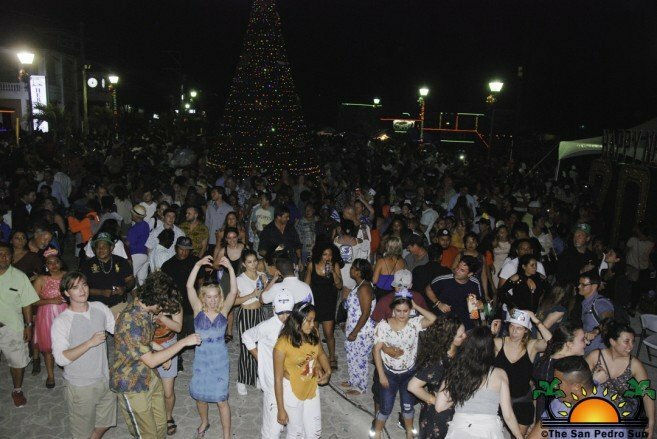 The lively festivities held at the Central Park on Monday, December 31st, saw island residents along with thousands of tourists enjoying live performances by Belizean artists, party favors and lots of food and drinks throughout the night until the first sunrise of 2019. 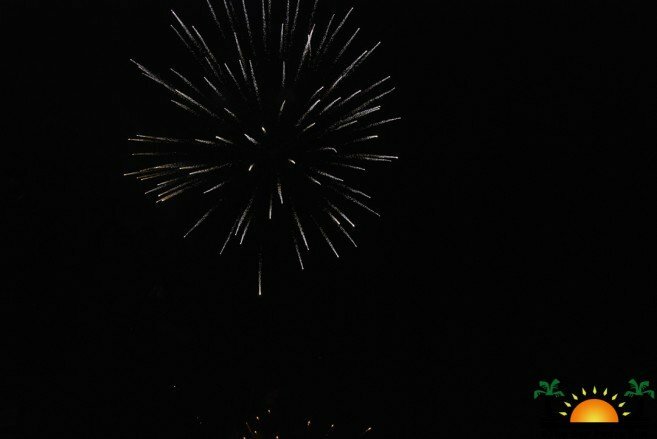 The anticipated event organized by The San Pedro Town Council (SPTC) began at 10PM, and despite a little rain, the festivities were a success. As the clock ticked to midnight, Pastor Clive Welsh delivered the invocation followed by Mayor Daniel Guerrero addressing the crowd. 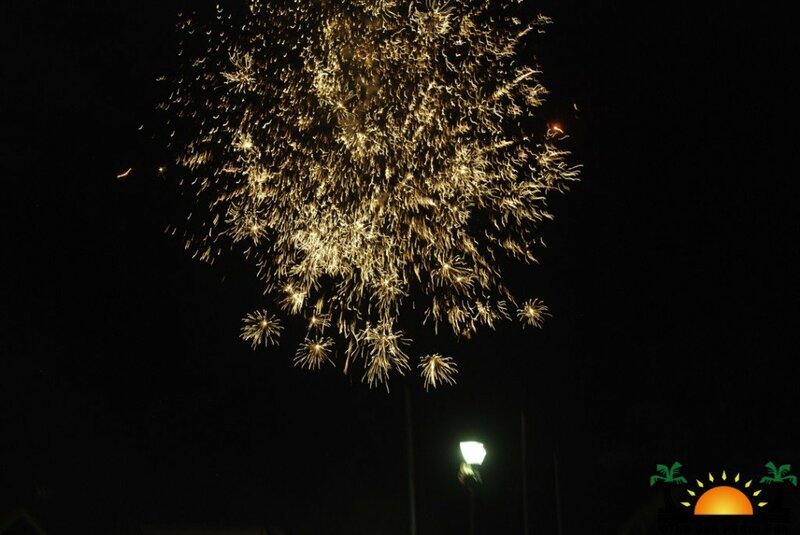 Guerrero thanked islanders and visitors alike for coming out to celebrate the beginning of a new year. He spoke about the challenges the island community faced in 2018, like the devastating fire that claimed lives in the Escalante Sub-division. “We continue working with the local Fire Department to improve their equipment and service,” said Guerrero. 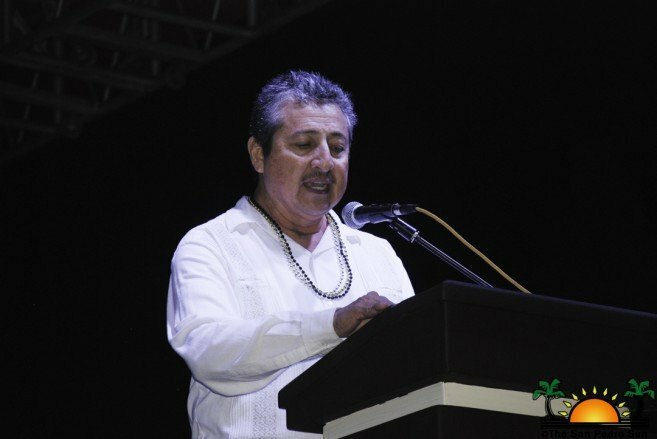 “We also need to be thankful for having been spared from major natural disasters during the annual hurricane season,” Guerrero said that tourism continues to grow on the island and acknowledged the local branch of the Belize Tourism Industry Association for bringing people together in the recent massive cleaning campaign held from November 9th through the 12th of last year. “These community efforts are indicators that we all have a role to play in keeping our island clean and in order,” said Guerrero. The Mayor added that in 2019 his administration would lobby to Central Government for more resources to improve the conditions of the island. 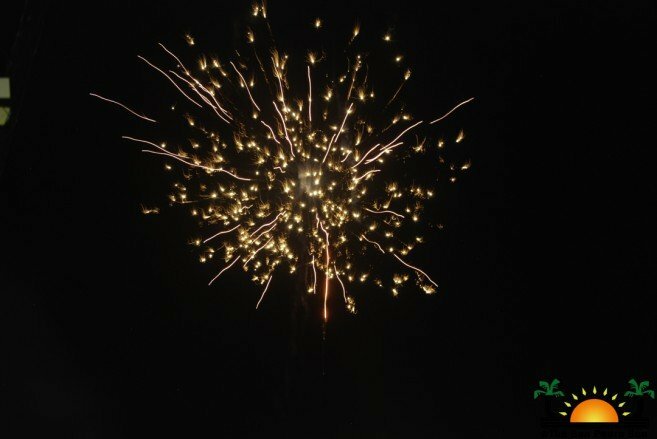 Following the formalities, the official countdown to welcome the New Year began. Some of the crowd gravitated toward the beach, while the rest stayed near the stage as everyone chanted the last ten seconds of 2018. When the clock ticked midnight, San Pedranos and visitors alike ushered in 2019, and the night sky above the Caribbean Sea was illuminated with a dazzling pyrotechnics display. 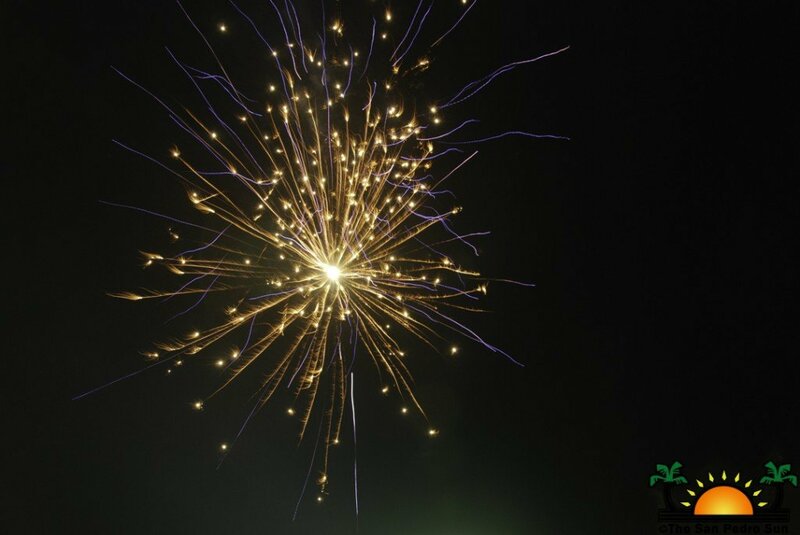 Partygoers embraced each other as they enjoy the explosion of colors up in the sky. 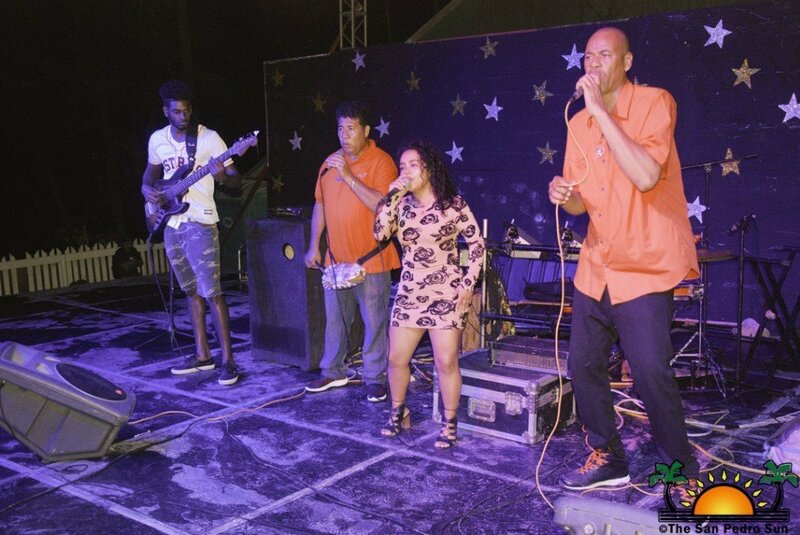 Immediately after, Youth Connection Band took to the stage turning up the party with their best hits. During the intermission, the crowd continued partying with the live performance of Marlyn Vansen. 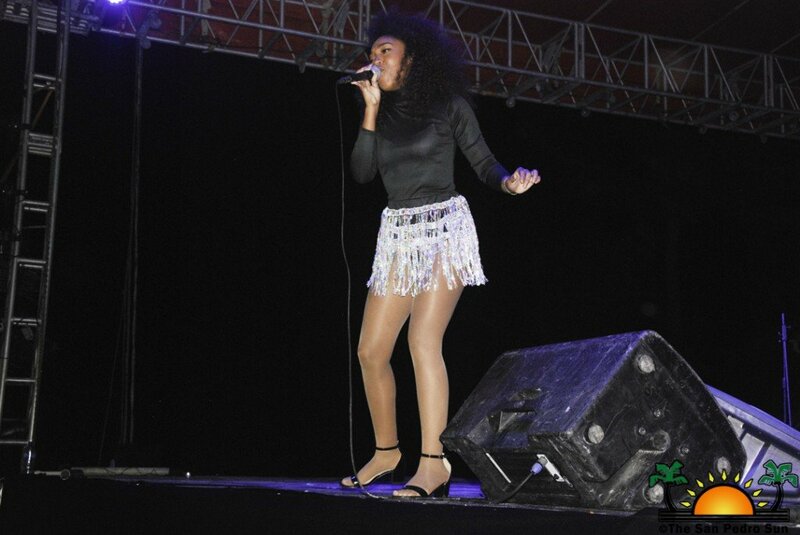 DJ Debbie also hosted an interactive session with the large crowd. The celebration went until the crack of dawn with the live performance of Youth Connection Band. The SPTC wishes all residents and visitors a happy and prosperous New Year 2019! 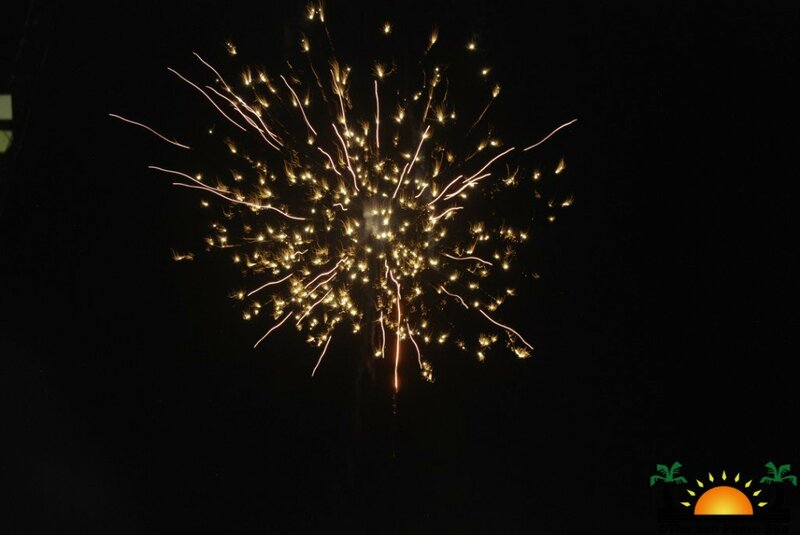 A BIG recognition also goes to the San Pedro Police Department for keeping the festive ambiance safe and without any major incidents. 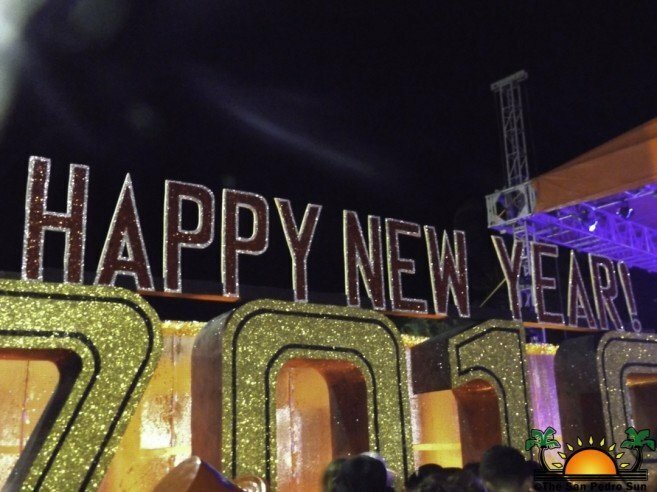 The San Pedro Sun also wishes our readers and friends a happy and prosperous New Year 2019!